Thermaltake, being the industry pioneer brand with expertise in PC power and thermal solutions, carrying the corporate vision of “building Thermaltake Technology into a cultural brand for the enjoyment of entertainment, e-Sports, technology, and lifestyle” and continues to drive toward the corporate mission of “delivering the perfect user experience” in all segment of the market. 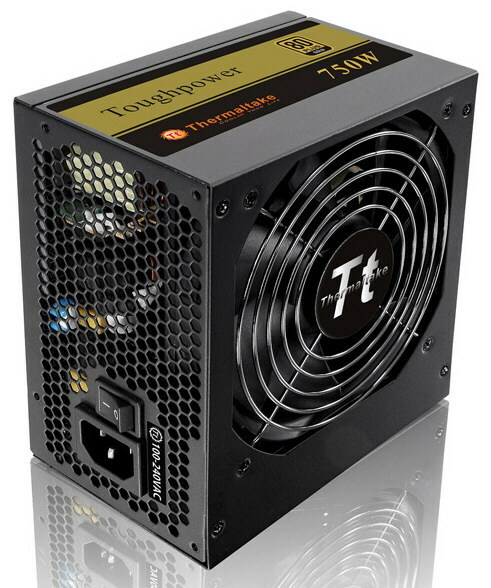 This January [they probably mean February], Thermaltake is expanding both Toughpower and SMART PSU product line, by adding Toughpower 550 W, 650 W and 750 W 80Plus Gold certified as well as SMART 750 W and 850 W 80Plus Bronze certified PSUs to fulfill mainstream users’ and enthusiasts’ requirement. Carrying the same concept, Toughpower series want to provide user a reliable, efficient and eco-friendly environment. Therefore the new Toughpower Gold Series adopted Active CLAMP circuitry offers low power loss and high efficiency, 100% High Quality Japanese Capacitors provide uncompromised performance and reliability, Industrial Grade Protection on over current and voltage, under voltage, over power, over temperature and short-circuit protections to ensure the critical components have the best chance of avoiding damage if a problem were to arise, and Quiet and durable cooling Fan offers long-lasting Fluid Dynamic Bearing fan delivers excellent airflow at an exceptionally low noise level, making the Toughpower 550 W, 650 W and 750 W 80Plus Gold a great choice for mainstream users. As the responses of the flat modular cables are assenting in market, the SMART Modular Series would like to provide more choices for enthusiasts by adding the 750 W and 850 W into the Series. 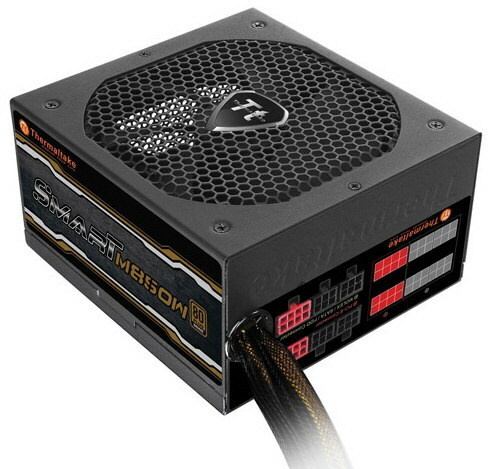 Both 750 W and 850 W units pretty much similar to 450 W, 550 W and 650 W with built in industrial-grade protections for over current, over Voltage, under voltage, over power and short-circuit protections and 14 cm cooling fan with intelligent RPM control guarantees cool performance and silent operation. The differences in 750 W and 850 W are by adopting 100% high quality Japanese capacitors and adding DC-DC converter circuitry on top of double forward circuitry to ensure the efficiency and stability. Both of series are compliance with Intel ATX 12V 2.3 & SSI EPS 12V 2.92 standards and are guaranteed to deliver continuous power 24 / 7 @ 40℃.